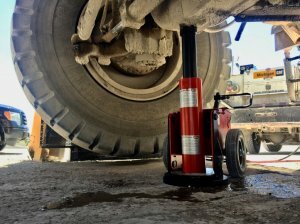 Hydraulic tools designer, manufacturer and supplier Hi-Force has introduced to the market its new and improved range of ToughLift jacking systems. The redesigned air and electric models offer users an easy and safe method of lifting some of the largest earth material haulers in the world during routine maintenance, service and repair. The new range offers a choice of eight models with 50 t, 100 t, 150 t and 200 t lifting capacities. With the addition of the TLA20027 to the range, lifting heights have been increased to 685 mm without the need for extensions and all air-driven models are operated by a 6 bar air-driven motor. 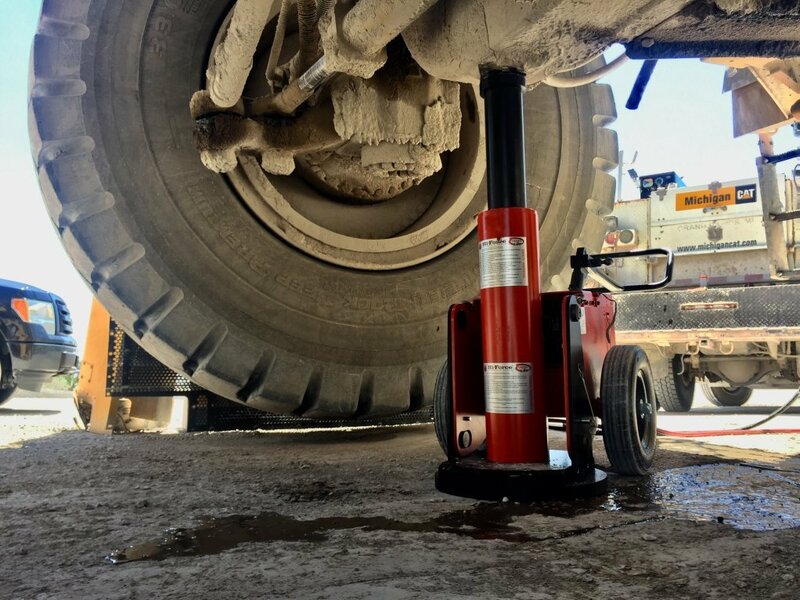 The Hi-Force ToughLift models incorporate a three-speed pump unit, giving faster advance and retract times, both under load and no load conditions. All models are fitted with a load tonnage gauge as standard and new low maintenance three-piece handle design to increase manoeuvrability. To aid with lifting, the models come with dedicated lifting points to keep the unit balanced and secure while lifting. A newly designed manifold and muffler allows for easier maintenance and better flow, improving the performance on all air-driven ToughLift models. The redesigned wheel position on the frame and wear-resistant steel base plate offer better ground clearance, making the Hi-Force ToughLift suitable for use on varied terrains. Pivot plates fitted on all models allow the cylinder and tank unit to articulate separately, thus retaining the load on the base plate and preventing the force from being transferred to the wheels. New optional accessory options include a load block tool box and pneumatic tyres available on 100 t, 150 t and 200 t models. All Hi-Force ToughLift jacking systems are supplied fitted as standard with a hardened steel lifting saddle. The 50 t models come with a patented “snap latch” handle assembly for easy positioning and transportation and a patented jacking system designed for increased safety, enabling them to be easily positioned, in the tightest of spaces, to ensure location into the correct and exact lifting and jacking position. For ease of use and safety, all Hi-Force ToughLift models are operated by a 5 m remote, push button hand pendant controller to ensure the operator has precise control over the lifting operation from a safe distance. All Hi-Force units come with pneumatic pilot valves with pendant control and 50 t models also come with solenoids as a standard option. The 100 t, 150 t and 200 t models can have solenoids and electric- driven pumps as options available upon request. The Hi-Force ToughLift is built with the cylinder as a one-piece design, making it effective against side loading and allowing for quicker turnaround times, should the unit require servicing. Fitted with large diameter wheels and heavy-duty solid tyres as standard, all ToughLift models are narrow in width and have the smallest footprint area in the industry.